Products / The Middle East Snack Box - Snacks From Istanbul, Dubai, Israel and more!! 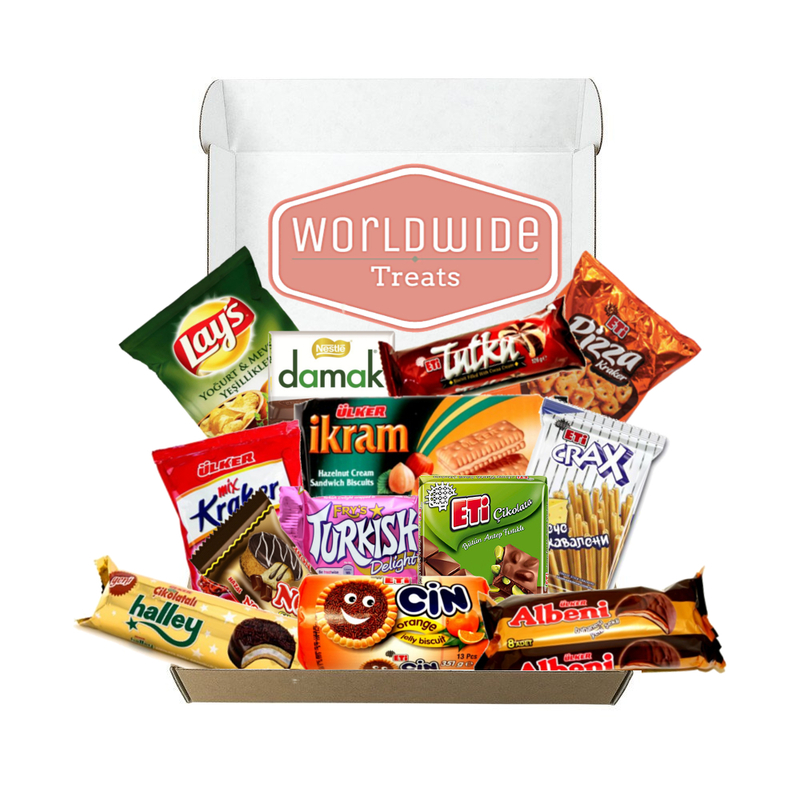 The Middle East Snack Box - Snacks From Istanbul, Dubai, Israel and more!! Are you tired of going out? Are you looking to sit back by the TV and to be pampered for a night? That's cool with us; we're here to make your day as comfy as possible. Let us bring the Middle East to your doorstep through this Snack Box! It includes a wide-ranging array of treats from the Middle East. From one bite to another, you can jump from Istanbul to Saudia Arabia to Palestine and Israel and everywhere in-between; all without ever leaving your comfy little abode. This is one trip you can take at your own pace. So come tour the world with us, won't you? HINT (((you will))). ADDITIONAL INFO: Items in the photo are examples of what you may find in your box and are not exact, as items will vary from box to box and month to month. Each item is guaranteed to be made in a Middle Eastern Country such as Turkey, Oman, Jordan, Palestine, Israel, Saudi Arabia, or the U.A.E and no items will be duplicated. This ensures the highest level of authenticity and variation. WHAT'S IN THE BOX: 8 or more packaged Snacks that can include any of the following: Chips, Candy, Chocolates, Wafers, Cookies or Biscuits!